Well, it's been a while since I mused about who should be saluted by the United States for their contribution to the arts with a Kennedy Center Honors. My feeling is that the upswing in popularity of Betty White (made possible by a hilarious Super Bowl ad) might push her name into strong consideration. With that in mind, I'm throwing in a few more names into the mix of potential Kennedy Center Honorees. Let's start with The Graduate, the film that for many captured the insecurity the baby boomers faced at the end of the 1960s. It was the debut of an extraordinary actor. He wasn't satisfied in playing more Benjamin Braddock. Instead, he went all over the map: Midnight Cowboy, Lenny, All the President's Men, down to Hook and even Meet the Fockers. The epitome of the intense young Method actor, over time he's learned to laugh at himself but still remain the first-rate actor he always wanted to be. Mamet continues to be one of the most original writers on Broadway, highly respected by his peers. The man who gave us Glengary Glen Ross as well as The Verdict shows no signs of slowing down. His interests are varied: writer for television, film and stage, and director. In the Janet Jackson song Got 'Til It's Gone guest star Q-Tip stated, "Joni Mitchell never lies". I don't know if that's true, but what I do know is that she is one of the most original singer/songwriters we've seen in the last half of the century. Everyone knows Big Yellow Cab but she also saw Both Sides Now and Help Me, which are instantly recognizable with her distinct voice. A true artist who goes wherever her Muse leads her, she still has songs to sing before she lets them put up a parking lot on her Paradise. The fierce and fiesty Irish lass has contributed to some of the great films. What would The Hunchback of Notre Dame be without her Esmeralda? Would we believe someone else as the cynic turned believer in Miracle on 34th Street or as the conflicted Welsh girl in How Green Was My Valley? Her long collaboration with the genius John Ford goes into Rio Grande and that love letter to her homeland, The Quiet Man. She makes one proud to be Irish (even if one isn't). 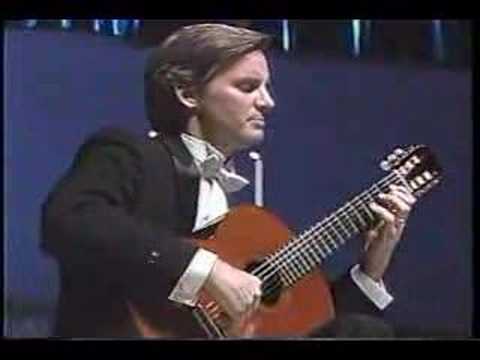 The word genius may be overused, but not when it comes to the master of the guitar, Christopher Parkening. He has made the guitar an expressive instrument and his Internation Guitar Competition has opened the door to future artists. I doubt Parkening would disagree that his guitar playing is an act of worship to his God. His playing is truly a reflection of his faith and of the maxim to "make a joyful noise unto the Lord". There is it: some names to consider. It may be I'm the only one that cares about such things as the Kennedy Center Honors, but I give myself a little leeway on such things. I'm not afraid of the arts. No one should be. Update May 2017: Maureen O'Hara died in 2015 at age 95. 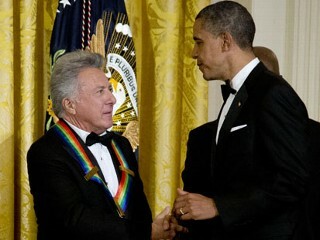 Dustin Hoffman was honored in 2012. As of 2016 none of the other mentioned here has been selected.